Welcome to Changinglight, featuring the work of landscape and commercial photographer Andy Lock. His photographs capture the wild and spectacular landscape of the Scottish Highlands. 9. Perth Lights on the Tay /sites/chan­ginglight/files/landsca­pe/perth-chan­gingligh..
10. The Birks of Aberfeldy /sites/chan­ginglight/files/landsca­pe/Burks-Falls-Aberfe..
6 links pointing to Changinglight.co.uk were found. The most important links to the website are from Merlinscatering.co.uk and John-hodgson.co.uk. The homepage of Changinglight.co.uk and the subsite are most referenced by other websites. The table shows the most important links to Changinglight.co.uk. The table is sorted in descending order by importance. The table shows websites of Changinglight.co.uk, which are often linked by other websites and therefore they are classified as important content. 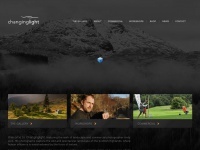 A profile of Changinglight.co.uk was found on the social network Facebook. The web server with the IP-address 78.31.107.17 used by Changinglight.co.uk is run by Memset Ltd and is located in Great Britain. This web server runs 4 other websites, their language is mostly english. A Apache server hosts the websites of Changinglight.co.uk. For managing the data of the webpages the CMS Drupal in the version 7 is used. XHTML+RDFa 1.0 is used as markup language on the webpages. The website does not specify details about the inclusion of its content in search engines. For this reason the content will be included by search engines.